Pre-flight airport hotel and lounge are INCLUDED. A tremendous long-weekend in the land of ice and fire in winter, which begins in October at this northerly latitude. See Gyr Falcon, Harlequin Duck, Barrow's Goldeneye, White-tailed Eagle, Ptarmigan in white plumage, chance of Brunnich's Guillemot, Little Auk and more in a very relaxed setting. 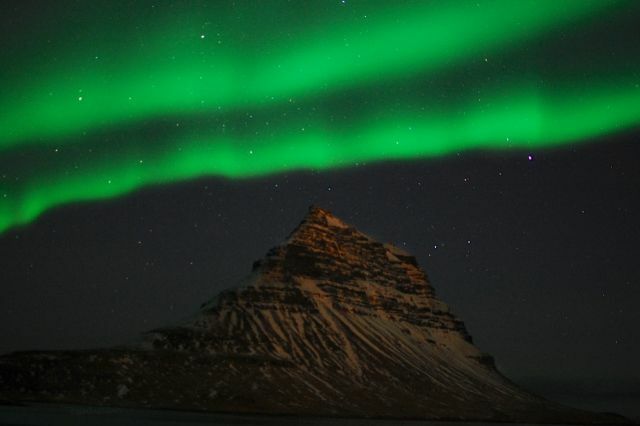 PLUS we hope to see the awe-inspiring aurora borealis, or northern lights, an experience never to be forgotten! 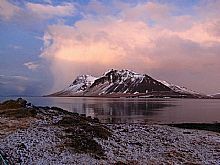 Glaciers, geysers, volcanoes, lava fields, waterfalls….. we travel to some of the best sites in south west Iceland, accompanied by Heatherlea guide Dave Pullan, a very knowledgeable and experienced naturalist/guide. After relaxing in our complimentary airport lounge, we arrive in Iceland and transfer to our en-suite accommodation in the magnificent countryside of South Iceland. We'll call at some coastal locations on the way as we look for Iceland Gull and other wintering seabirds. Later, there's always the chance of seeing an auroral display. With around seven hours of useful daylight we have plenty of time to fill our day. Today begins with Gullfoss, considered by many to be Iceland's finest waterfall. Nearby is the famed Geysir after which all geysers are named. A dynamic gusher erupts every few minutes to a height of 30 metres. We then explore Þingvellir National Park, where for centuries the early parliament met in the open-air. The area is geologically fascinating with countless fissures and ravines bearing witness to the forces at work below the earth's surface. There may be some Barrow's Goldeneye on nearby lakes and streams, and we'll also be searching for White-tailed eagle and Gyr Falcon. 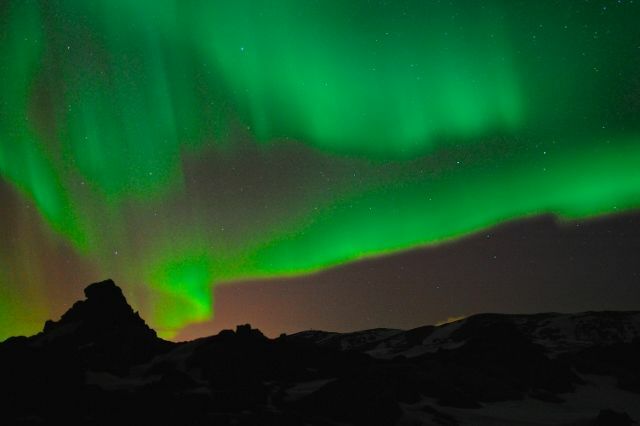 Again, if weather conditions allow, we'll hope to witness a display of the northern lights. 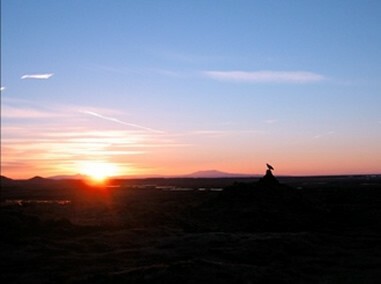 We’ll travel over vast glacial outwash plains to reach the Mýrdalsjökull glacier. On the coast nearby we'll look for Harlequin Duck, which winter at sea, as well as Glaucous and Iceland Gull, Grey and Common seal, and anything else that's trying to find food during the Icelandic winter. 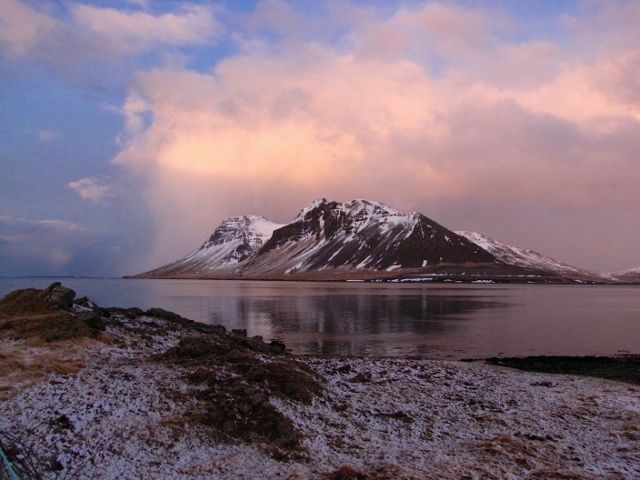 The coastline is spectacular and we'll also learn about the vigourous geology of this part of Iceland as we visit a headland created by a submarine volcanic eruption in the past. 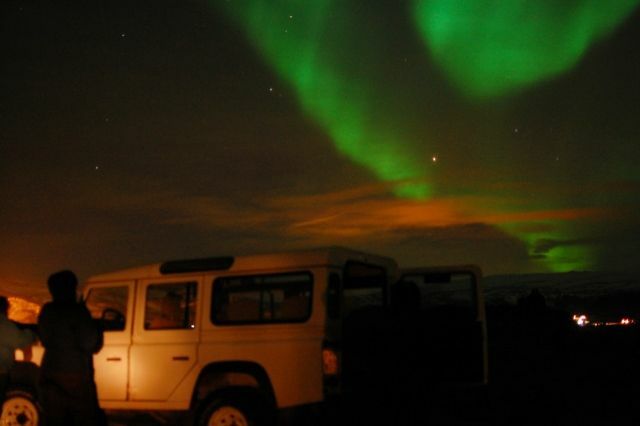 Again, if weather conditions allow, we'll hope to witness a display of the northern lights this evening. We travel to the Reykjanes peninsula for some more coastal birdwatching (if time allows) — Harlequin, Eider and the chance of Little Auk. We should also find over-wintering Whooper Swans and we'll search for Ptarmigan, resplendent in white winter plumage. Later we’ll travel to the airport for our afternoon flight to London. Food Breakfast is surprisingly good given the limited availability of local produce. Cereals, Cold meats and cheese are usually offered, with ample bread and preserves. Fruit juice and tea or coffee are also usually available. Evening meals are generally local dishes, which are good but often quite simple. Chicken, fish and very lean lamb are common. Picnic lunches are included. Walking is not strenuous. Leisurely walking, very occasionally over moderately rough terrain, is the only physical requirement. Weather We hope for beautiful, cold, clear arctic conditions, but be prepared for wind, snow, sleet or rain! We will be spending time on windswept coasts; it is therefore vital to have suitable clothing and equipment. The temperature can change quickly, so layered clothing is recommended. Insects biting insects are not expected. Group size is restricted to 7 clients maximum. Flights are by scheduled airline, from London. We may be able to offer flight arrangements from another airport and/or or quote without flights so you can make your own arrangements. If you wish to add an extension either before or after your holiday, please contact us and we will be happy to arrange this for you. * the services of your leader. * personal insurance, drinks and other personal expenses, optional tips, and any other costs not specified as 'included'. * Heatherlea is a limited company, registered in Scotland, and registered to pay VAT (applies to all holidays within the European Union).